When I saw Lisa Thompson was bringing out a new book, I was so excited! I loved her debut novel; The Goldfish Boy. If you remember, back in 2016 I reviewed the book on my blog. You can read that review HERE. As well as it being a fantastic book, it also has a special place in my heart as it was the first piece of blogger mail I ever received. 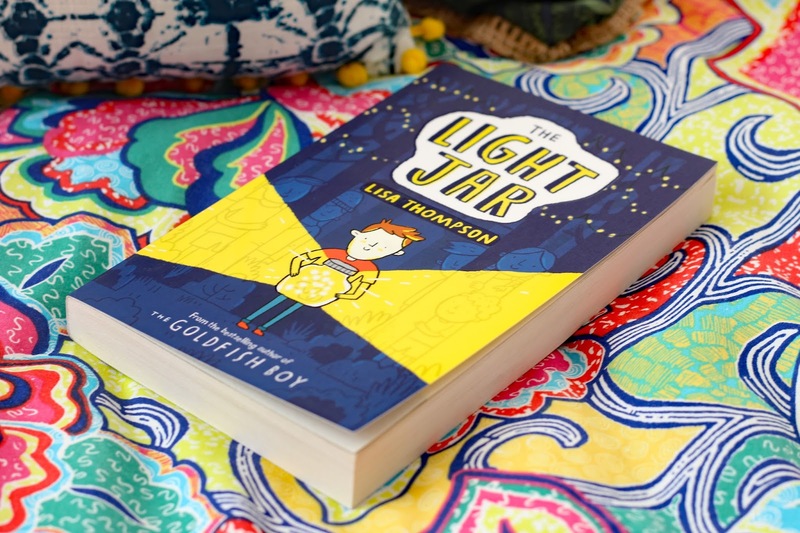 Like the Goldfish boy, The light Jar is a middle-grade book. But please don't let that put you off picking either one of Lisa's books up. Both books cover very important themes that everyone of every and any age can relate to. Although they're based on children and targeted at a young audience, they have meaning to everyone. The Goldfish Boy did a fantastic job of portraying obsessive-compulsive disorder, so my expectations were naturally high going into the light jar. I always worry when reading the second book of an author whose first book went down a treat and was such a firm favourite of mine. I feel a mixture of emotions from excitement and anticipation. Will it live up to the Goldfish Boy? You will be glad to know, if you were a fan of The Goldfish Boy, you won't be disappointed and if you are a new reader of Lisa's books you are in for a real treat. Like, The Goldfish Boy, the characters you follow are incredibly lovable and very well described. Nate, the main character, an 11-year-old boy is such a brave, young boy who lives and fends for himself when his mum doesn't come back. I felt very connected to Nate as the story went on and I found myself really caring about Nate and hoping things worked out well for him in the end. Other characters in the book include Sam and Kitty, although because this is a spoiler free review, I won't go into describing them. What I can say though is that they are part of a concept which I have never read in any book before and that isn't a bad thing. The book includes some critical themes. One of which is loneliness. The way in which Lisa deals with the theme is beautiful and something which really touched my heart. Even as a 19-year old I can remember what it was like to have imaginary friends as a child and how they meant so much to me at the time. 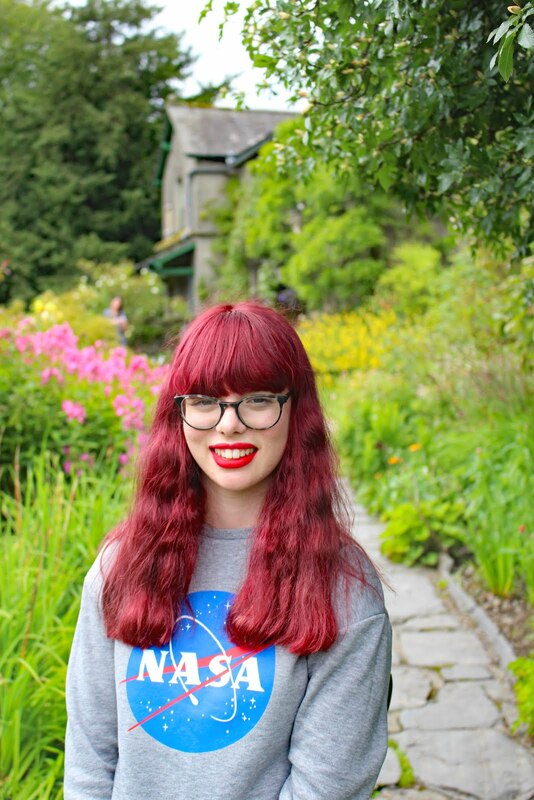 The descriptions of how loneliness can affect everyone and anyone were so heartwarming. Another, very important theme which is lightly touched on is domestic violence. I'm very glad that Lisa covered this in the story. Especially as it is targeted at children, it could be very easy to skim over the important but sensitive topic. 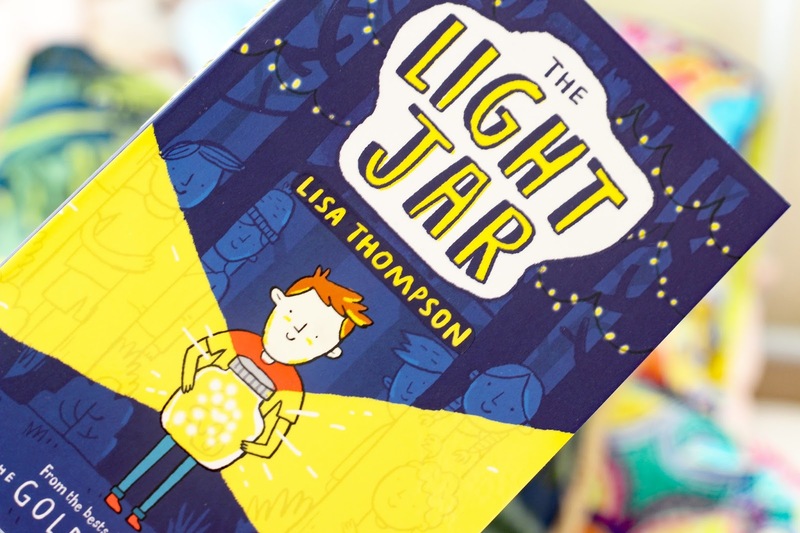 I'm all for children being aware of these issues in society and being the talented author Lisa is, she managed to cover the topic in a delicate way suitable for a younger audience. When my copy of The Light Jar arrived, I was so excited, as it came with some LED lights. The purpose of these lights is to make a light jar of your very own. A light jar is something Nate uses as a coping mechanism for his fear of the dark. However, what with the dark nights during in and the Christmas lights packed away in the loft, a light jar will be the perfect way to help brighten up these dull January days. 4. Turn on the fairy lights, screw the top on and you have a light jar. I would recommend The Light Jar to anyone of any age. I think everyone can relate to some of the themes in this story. It really is a poignant tale that will stick with you. If you are looking for a relatively quick read with deep meaning, then I couldn't recommend The Light Jar to you enough. There we have it, my review of the light jar! Have you read The Light Jar yet? Or are you looking to pick it up? Let me know in the comments below! * This book was sent to me for review, however, all opinions are my own and I'm not being paid to write this blog post. For bovine tuberculosis in the first 1-2 weeks, there will be pain. Until 1 month, the pain will clear up. There may be low fever in the evening together with anorexia, weight loss and may be considered a common back pain, which online casinos G club มือถือ we recommend that if left for a long time, it will make the spine bend. Because the disease to destroy the bone. In addition, Casinos gclub online lay a channel for gamblers to play with the highest quality standards. Added that Many patients think that back pain is a symptom. I will not see the doctor. And will find you have to wait for a lot of pain. Can not stand the body. So recommend that you do not leave long. See your doctor soon. In the diagnosis of TB we are bone. Can the radiation. To see if the bone is damaged or if there is a deflection.